Whenever your shipment needs to get to its destination, Royal Star Transport (RST) provides full range of economical ground shipping on time and safely, with guaranteed customer satisfaction. in quality, performance and customer care. We are well-organized transportation company with extensive fleet ready to move your final product and the related information from the end of the production line to the user. "Smart Truckers must never take their eyes off the road even for a split second"
A responsive transportation network begins with end-to-end network visibility. Which allows the business to centralize production operations to lower-cost areas. 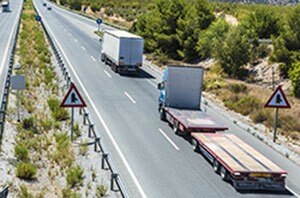 We provide complete transportation with extensive fleet for Canadian/US freight requirements. All of our operators are well experienced and undergo extensive training sessions once hired. Today, international trade is common. 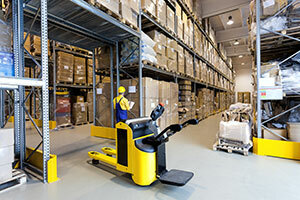 It is easy to say the products are rarely consumed where they are produced/manufactured and transportation services are the essential part between all of the elements of the Supply Chain. 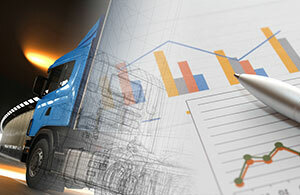 Royal Star Transport (RST) is your partner in delivering goods meeting demand & supply. It is cost efficient, safe and reliable.